The world's most flexible toll free number service. Telzio enables you to easily customize your toll free number with powerful features. Phone menus, queues, hold music, and voicemail are all included. Effortlessly handle high call volume and answer calls on any device. You can search, register, and configure toll free numbers instantly through your Telzio Dashboard. 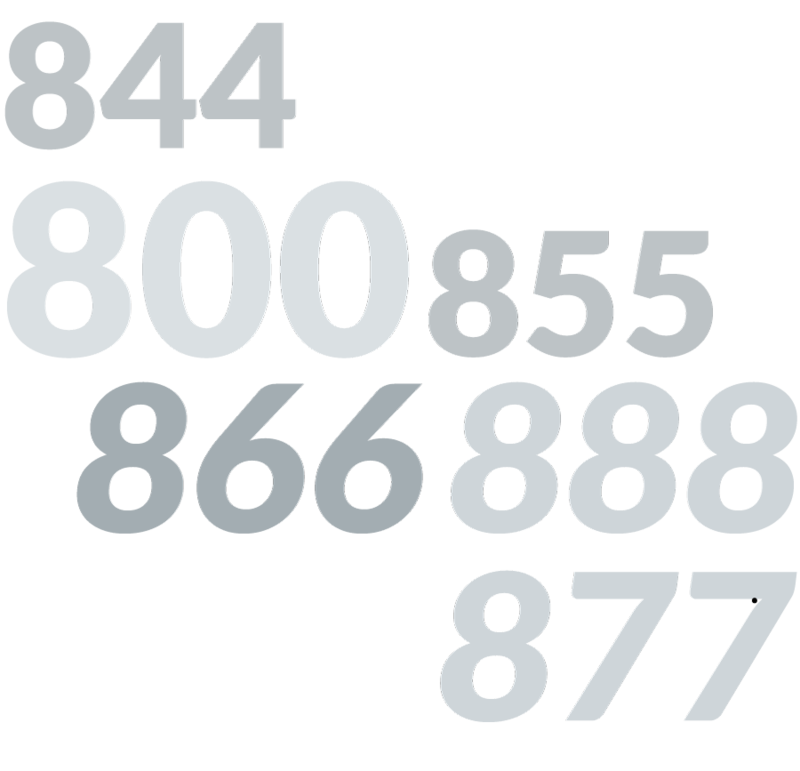 Find vanity numbers, 800, 888, 877, 866, 855, and 844 toll free numbers, and go live with your toll free number in just minutes. Create custom routing rules to send callers to an automated greeting, office phones, mobile phones, queues, and other advanced options. Telzio powers hotlines for organizations around the world. No other VoIP company can deliver the same level of reliability and call quality as Telzio. Toll free numbers are widely used as customer service lines for national and online businesses. By displaying a toll free number rather than a local area code, your company can appeal to customers on a national level. Setting up a new toll free number can be done in minutes. Porting an existing number can be done in less than a few days and involves no downtime. so your transition is seamless. Your free trial awaits. What can I do with Toll Free Numbers? Give your business brand a national status. Broaden your customer reach to other states. Make it easier for customers to remember and dial your number. Set up hotlines and customer support lines. Create custom routing rules with phone menus, hunt groups, and more. Is there a setup fee to purchase a toll free number? Telzio offers US toll free numbers with NO setup fees. Some vanity and premium toll free numbers have setup fees. You can browse only for toll free numbers with no setup fee to find the right number for your business and budget. Do you offer vanity toll free numbers? Yes. You can search for vanity numbers right through the Telzio Dashboard using our number search tool.